Except where otherwise stated, these buses arrived in April 1941, after the Holy Week air raids. Coventry Corporation fleet number 34 had already been allocated to a hired bus from Southend and so Bolton fleet number 34 had the figure 4 painted out to make it fleet number 3. Otherwise, the existing fleet numbers were retained. 21, 22 and 24 were originally on hire to London Passenger Transport Board, 15 and 17 were originally on hire to BMMO (Midland Red). The remainder were hired directly from Bolton. 17 17 1935 WH6859 Probably arrived in June 1941*. * References ,  and  (on the Foreign index page) give the dates for Ashton-under-Lyne No 17 as on hire in Coventry from April 1941 for two months. Reference  gives the date for the arrival of Bolton No 17 as April 1941, while the other references are not specific. It is almost inconceivable that CCT would have run two buses with the same fleet number at the same time. 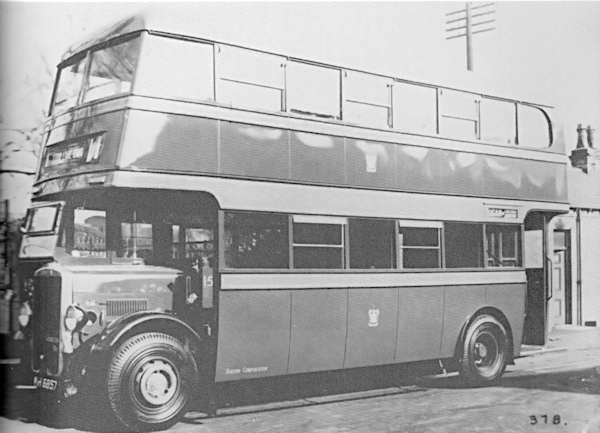 Reference  cites Bolton number 17 as originally on hire to BMMO, so it is probable that it did not arrive in Coventry until after the Ashton-under-Lyne bus left in June 1941.